For any IT enterprise, protection and utilization of its digital assets are the most vital aspects to achieve its performance objectives by ensuring business continuity. Importance of data has encouraged organizations to tap all possible sources to enrich data availability. However, in spite of access to extremely large volumes of data many enterprises find it difficult to leverage the same to gain competitive edge. This can be attributed to challenges of availing accurate and relevant data in addition to external threats. These challenges can be easily overcome by implementing cloud analytics and loud technologies that open new avenues of accessing big data analytics to enhance effectiveness of decisions that are data driven. Making data based decisions- Organizations can leverage cloud analytics to improve their ability to arrive at decisions by utilizing cloud analytics. 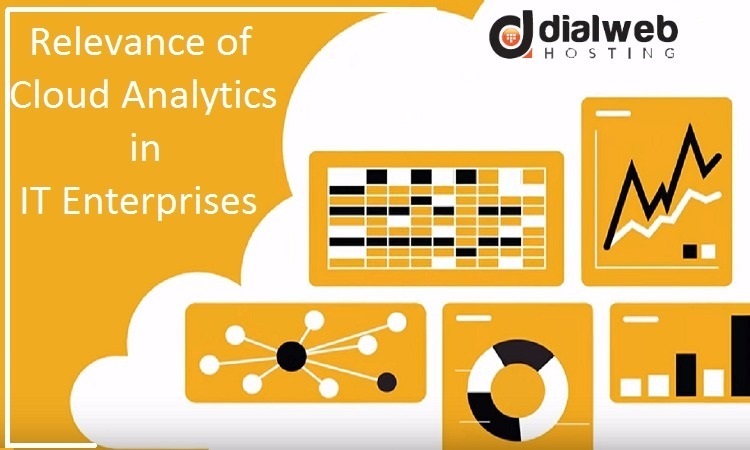 Cloud analytics provide sophisticated tools to identify and capture weak areas and faults in business processes. With help of cloud analytics it is possible to map expenditures, track investments, and identify potential resources to save revenues. On premise analytics platform is no more a viable proposition due to expensive maintenance, frequent upgrades and repairs in addition to maintenance of a team of IT professionals. These arrangements are not only cost intensive but are also responsible for disrupted operations, delayed projects and extended deployment times. In contrast, cloud analytic platforms facilitate business processes by being perpetually up to date and do not cause any downtime. The most vital aspect of cloud analytics are their remote locations. This kind of isolation obviously protects the vital data assets from the hazards of natural disasters and hacking attempts. In addition to this there are multiple sophisticated security arrangements implemented by cloud hosting service providers to ensure protection from other external security challenges. These are anti-malware and anti-virus measures. There is always a need to scale up server specs to accommodate continuously changing business needs. Rapid scaling is not practically possible in on-premise infrastructures and platforms. On the contrary, cloud platforms support dynamic scalability to cater to varying requirements of businesses. Thanks to cloud computing, it is very easy to establish two way communication channels between businesses and customers. Cloud technology enables use of websites as well as dedicated applications to help clients access required information from the organization. In addition, businesses can benefit from cloud analytics to collect and derive meaningful interpretations from the available data collected from wide spectrum of touch points. This can help organizations arrive at policy decisions. Cloud analytics are able to support businesses to access, gather, process, and analyze data by accessing different touch points. This would be extremely overwhelming in the absence of cloud analytics. Cloud analytics also mitigate costs of data collection and interpretation. IT infrastructures of enterprises need to adopt cloud analytics to save the organizations from being forced into extinction. It needs to be appreciated that dynamics of markets and competition from other organizations who have already adopted these resources can force other enterprises to pull down the shutters any time.